The bill is named in honor of state District Judge Julie Kocurek. Her assailant shot at her several times outside her home, and she suffered serious injuries from shattered glass and shrapnel. 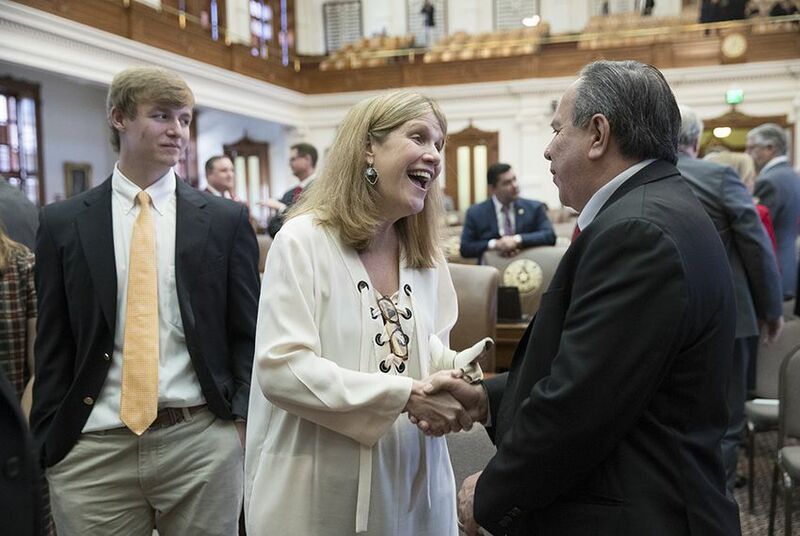 Editor's note: This story was updated May 17 to reflect that the Texas House gave its final approval to Senate Bill 42. The Texas House on Tuesday gave unanimous preliminary approval to a court security bill inspired by a 2015 assassination attempt on an Austin judge. The chamber needs to pass the measure one more time before it heads back to the Senate. The bill is named in honor of state District Judge Julie Kocurek, who was severely injured when an assailant shot at her several times in an attack outside her home. She suffered serious injuries from shattered glass and shrapnel but returned to the bench in early 2016 after months of rehabilitation. A phoned-in tip a couple of weeks before the shooting that a judge's life had been threatened was briefly investigated, but with few details it was deemed not credible. Kocurek had no knowledge of the threat. After the attack on Kocurek, the state's Office of Court Administration emailed a survey to judges across the state. Of the 1,115 judges who responded, 38 percent said they feared for their personal safety at least once at work in the past two years. Forty-two percent said they were afraid at least once when away from work. Texas Supreme Court Chief Justice Nathan Hecht pushed for the bill's passage in his State of the Judiciary speech in February. Hecht said the attack on Kocurek highlighted gaps in security for judges, courthouses and their staff, such as "inadequate training, communication and security protocols; inadequate resources; no state-level direction; and the ready availability of judges' personal information in publicly searchable government databases." Hecht has praised Kocurek since her return to the bench. "I asked Julie about her plans," the chief justice said in February. "She could retire. She was eligible. But if she left the bench, people would think you can threaten a judge and scare her off, maybe scare off other judges, intimidate them, show that justice cannot stand up to violence. She would not do that." The Texas Senate passed the Judge Julie Kocurek Judicial and Courthouse Security Act of 2017 in April. In his State of the Judiciary address in February, Texas Supreme Court Chief Justice Nathan Hecht discussed bail reform, the cost of legal expenses, mental health issues and a host of other topics. A survey taken after Travis County state District Judge Julie Kocurek was shot last fall in the driveway of her Austin home found that hundreds of Texas judges have feared for their safety at least once in the last two years.